I am kicking off my first blog post with a sampling of cards and a mini treat bag I made for inspiration to my Stamp Club for our January meeting. 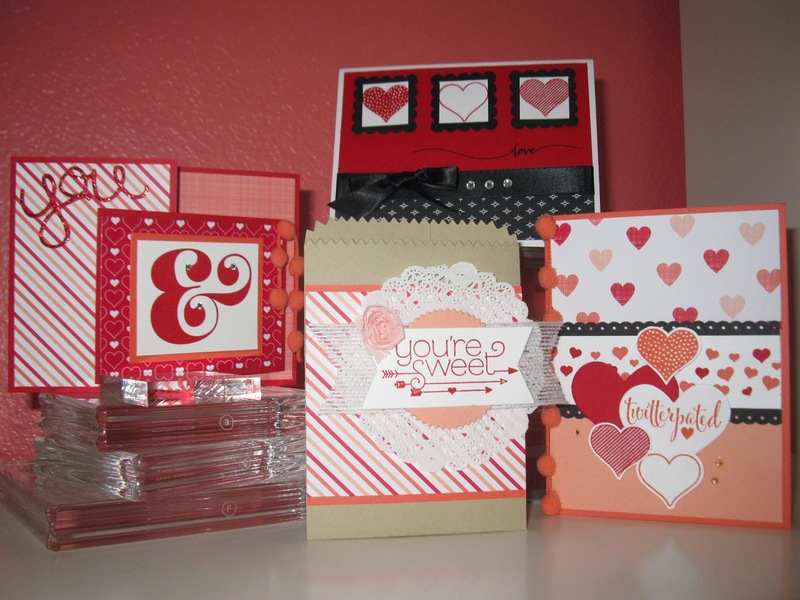 I had so much fun using the new stamps, paper and dies from the SU Spring Occasions Catalog. These are love or Valentine themed since February 14th is just around the corner. Thanks for taking a peek! Happy Scrappin'! Looks great! Congratulations to you and Howie for making it so beautiful and easy to navigate. I'll probably spend all afternoon looking at all the ideas you have posted. Thanks. Very nice Shannon! It's nice to have access to your "oh so creative brain"! looking forward to more. Oh Shannon!!! I'm so excited for you. I'm so glad you've made the plunge into the blog world. You go girl! WooHoo! !